This is Mechanical Engineering 10 full Length, test series by Arihant expert for GATE 2020. This test series is designed in such a way that it will give full experience for your original gate exam 2020. All technical facilities like digital calculator, count down time, auto-submit answer after 180 minutes count down time end etc are included in this test series. After completion of any test series, you will provide a detail solution for each and every question..
Why I join this test series..? Because this test series is design and guessed by Arihant publication expert, which will improve your thinking power for your gate exam 2020. How many numbers of total test series? 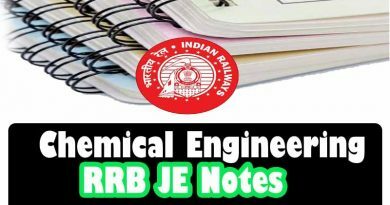 RRB Exam Math Notes for Assistant Loco Pilot (ALP) & Technicians download!